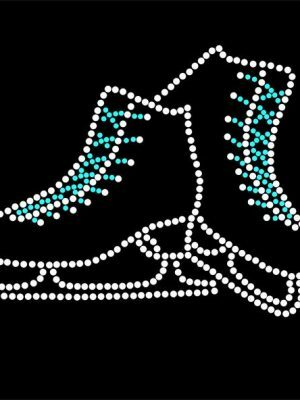 As worn by Dancing on Ice 2018’s professional skater, Brianne Delcourt. 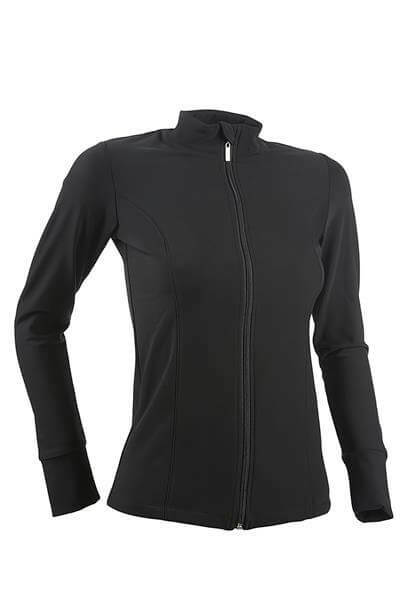 This black jacket has a fitted shape with a lot of 2 way stretch for optimal freedom to move. 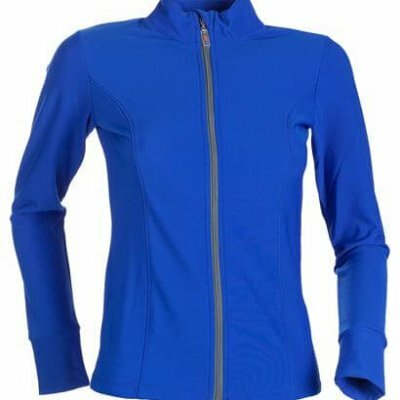 The jackets are great for figure skating, running, gymnastics, dance, athletics and more. 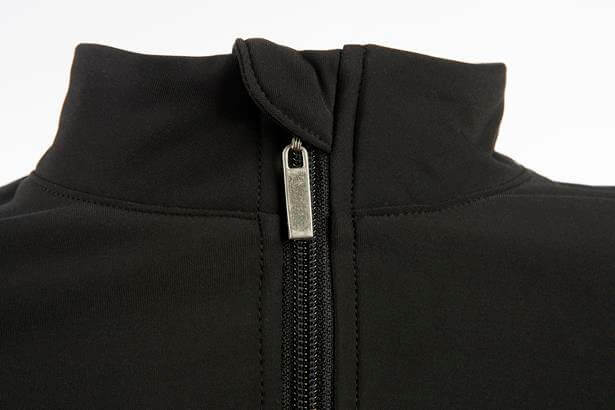 Brushed fleece on the inside, these jackets are made from Italian super soft specialist performance sports fabric which is breathable and moisture wicking. 85% polyamide, 15% elastane. The jackets have a fitted shape at the waist, please see the size spec for more details on which size will suit you best. If you are between sizes we recommend that you go up a size. This jacket can be personalised with your name if desired – please see the font / stone colour choices for more info. All names will be placed on the back of the jacket across the shoulder blades – if you want something different then just contact us and we’ll be happy to help. For long names, particularly on kids jackets, we recommend the ‘simple’ font as this looks better on the jacket. 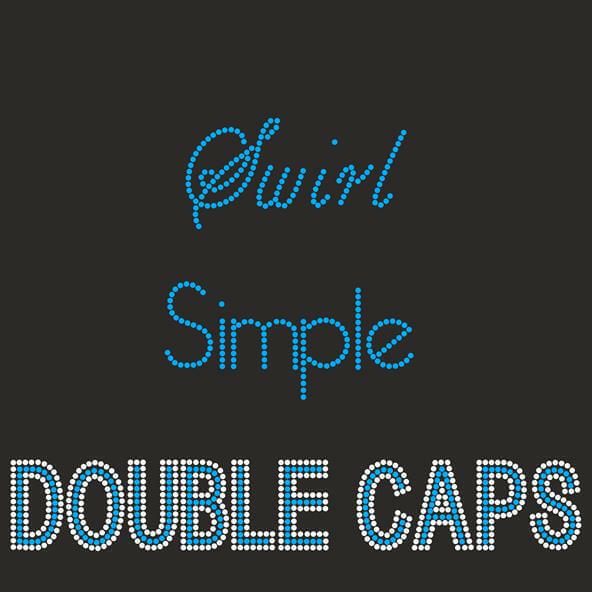 For the Simple and Swirl fonts, choose the stone colour you would like. For the Double Caps font, choose the stone colour you would like on the INSIDE of letters. The outside stones will always be crystal unless you leave a message at checkout or contact us to request a special order. Please note, for all fonts, the price is for one name only up to 9 letters long. If you would like multiple names eg first name & last name then please contact us for advice on whether this will fit on the jacket before ordering. This jacket can also have a shaped design added underneath the name – please see the options below in the ‘related products’ section and in the ‘Personalisation’ section of our website – there are many designs for all sports to choose from and all can be customised to your chosen colour. All items which have been customised are not eligible for exchange / refund unless faulty. If there are any problems with the item then please contact and we will do our best to rectify the issue. If this is not possible then we will offer a replacement garment to the same value or a refund. Stones and studs are guaranteed for 3 months only, after this time any missing stones/studs are considered normal wear and tear. 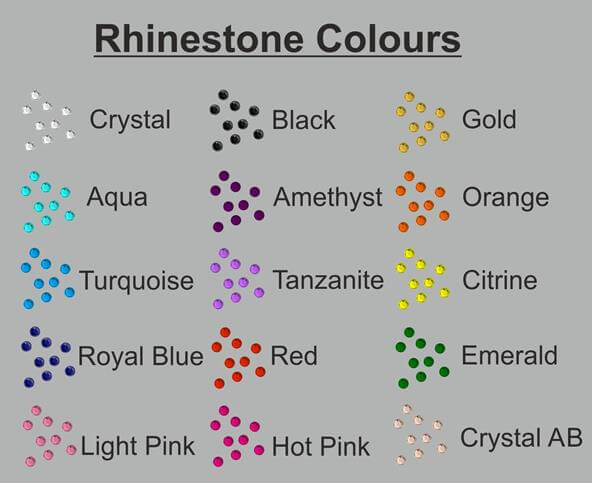 Garments with rhinestones, rhinestuds or vinyl designs should be washed inside out at 30 degrees on a delicates cycle. Do not use fabric softener as this can cause the stones/vinyl to detach. Do not tumble dry. Yesterday I ordered 6 jackets and today they arrived before 1pm. Both Sharon and Shirley were extremely helpful. I will without doubt be buying from them again! Thank you! The black jacket looks great blinged up with the iron on beillman crystal transfer I won in the competition. Will definitely be ordering again. Bought this jacket for my 6yr old and had it personalised with her name and a crystal design. The jacket is top quality and just cosy enough on ice without restricting movement. It’s quite slim fitting so I ordered a size bigger (she’s tall and sturdy for her age). Excellent customer service from Two Birds, I had a slight problem completing the order & my query was dealt with quickly via Facebook messenger. Items arrived very quickly considering this one was personalised. Will definitely buy again, in fact I already have as our club have chosen to use this jacket in a different colour as our club jacket! These jackets are a lovely fit and very comfortable. Very quick delivery and customer service is 5 star. 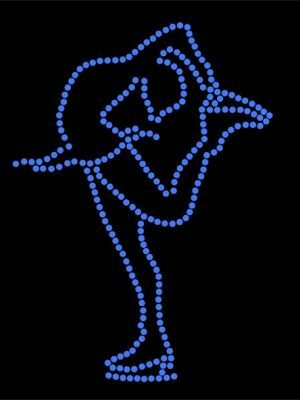 Two Birds are very helpful and replied to my enquiries within hours. I would definitely recommend. I am delighted with the leggings and jacket. They feel really comfortable and are a great fit. One issue I often have with leggings is the length, as I am tallish at 5’9″ and often leggings are too short or do not fit comfortably on the waist. So very pleased indeed that these are such a good fit. Thanks also for your brilliant service AND the unexpected skate tag gift! This is the first time I’ve shopped with Two Birds and I shall certainly be returning in future.